He was handsome, and the food helped too! Such lovely images! Sending best wishes for a very Merry Christmas. Thank you Sue! Merry Christmas and Happy New Year! Merry Christmas and Happy New Year to you and Lucy! 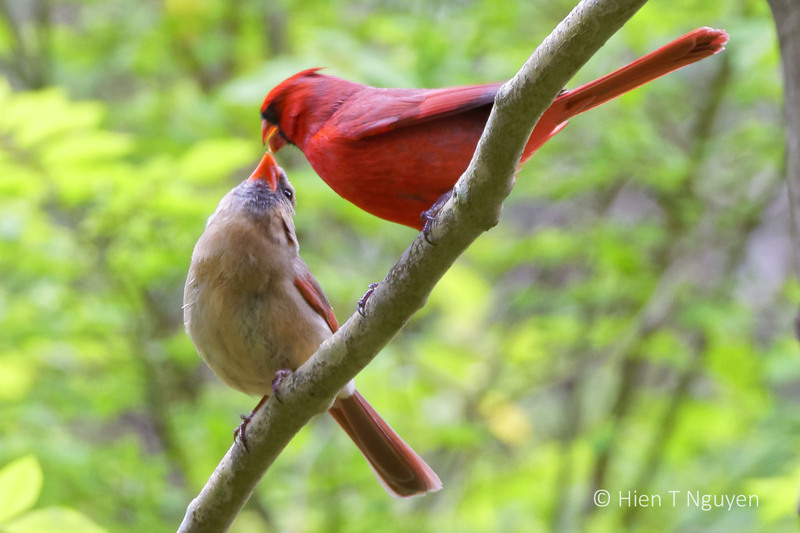 Gentle beauty and love here, Hien, so wonderful. A perfect fit for the season Hien! Thank you Jerry! Hope you are not working too hard during this season! Thank you Donna! During spring time, I see such scene once in a while, but this was the first time I managed to capture it. 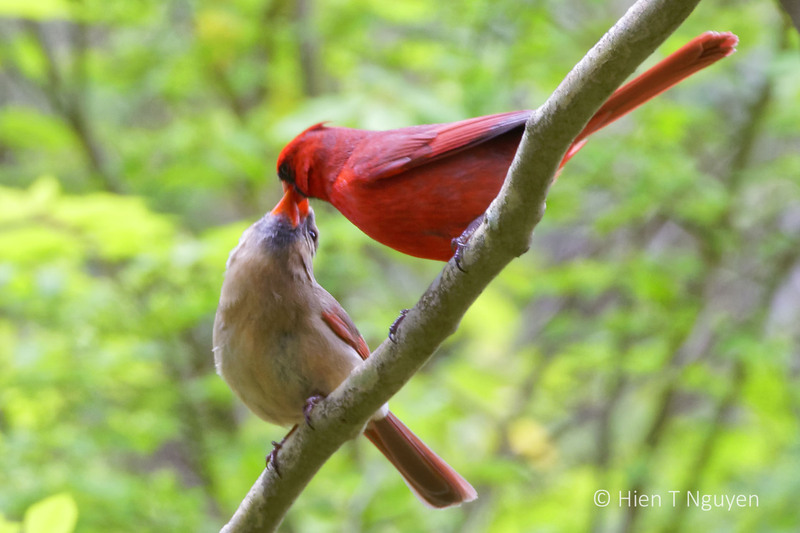 Your photos are always great and these two cardinals are special. Thank you Anh Nhi! Merry Christmas and Happy New Year!